(2009) The project is to purchase the building that the Durham Shambhala Center has been renting for ten years and in doing so establish barrier free access and compliance with the Durham City zoning and code regulations. 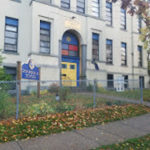 The current purchase initiative began with a desire to put the Center on firmer footing in order to expand activity and membership and to serve the community more fully. The owner was willing to sell the property for $129,000 and to finance the sale for up to 25 years with a $15,000 down payment at 8% interest. 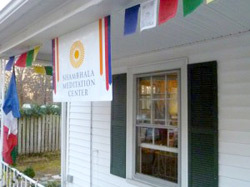 In January 2008, the Board came to a consensus that pursuing the purchase was in the best interests of the mission of the Durham Shambhala Center. The Center is doing well in terms of practice, study, recurring donations, programming, administration, outreach, fundraising, membership, communication and development of this project. In addition, a further reason for the purchase is that there is room on the lot for expansion.